John Rich lives in Sherman and for many years, he commuted back-and-forth to New York City for work. After he sold his business, he wasn't sure what he was going to do but he knew he wanted to do it closer to home. That's when he decided to take his coffee roasting habit to the next level. 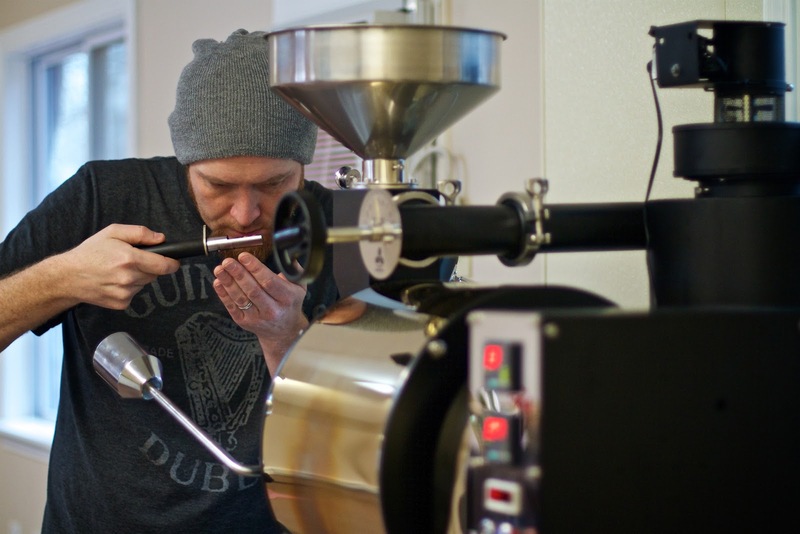 So from a few beans in an air popcorn popper, John went and bought a professional roaster, then found a storefront in the center of Sherman and opened up shop as Sacred Grounds Coffee Roasters. He opened his doors at the end of this November and as of December 9th, he received his certified organic status. Yep, he only roasts organic beans and he can trace every single one of them back to the farm that grew them. He said that with coffee that's not organic you don't know what pesticides they've used or if something like sewage water has been used to irrigate the fields. That's why he only roasts organic. 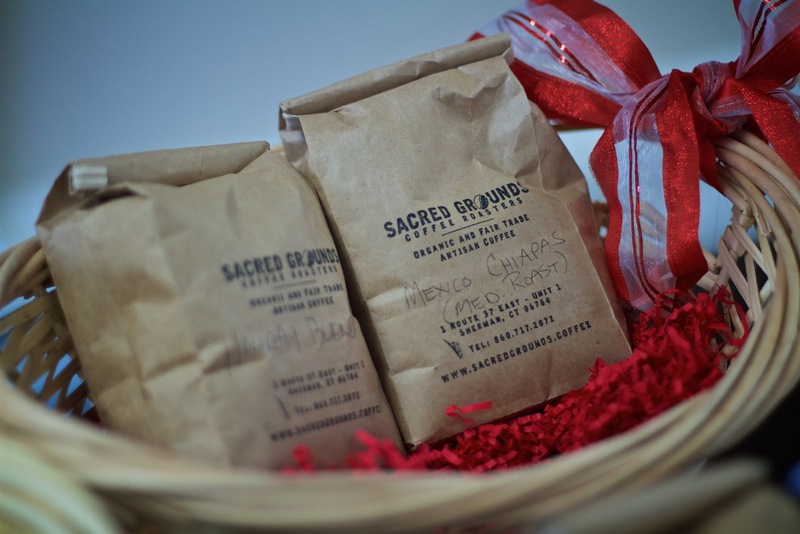 In addition to being organic, Sacred Grounds is focused on fair trade coffee as well. He wants to make sure that the farmers aren't getting ripped off and that there's no child labor. He said he just wouldn't feel right if he knew things like that were going on with the product he was selling. 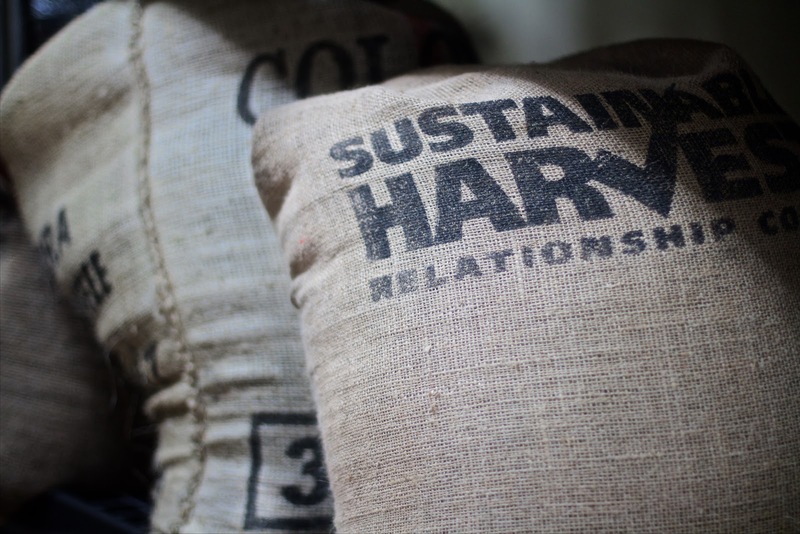 It's all about knowing where your coffee comes from. "To me, there's not enough fair trade coffee on the market," he added. 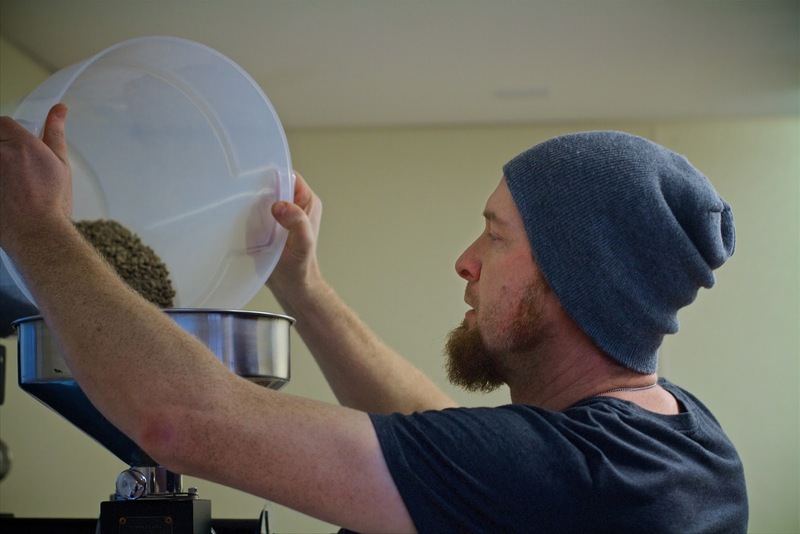 You won't find too many blends at Sacred Grounds, John also likes to focus on single origin coffee beans. This allows the unique flavor differences from each region to shine through in your cup. Each origin has its own sense of place. Everything from the microbes in the soil to what grows next to the coffee, all influence the flavor notes in the beans. "Single origins all have their own unique differences," John noted, "With single origin varieties you can really appreciate the differences like you would in a wine or a beer. 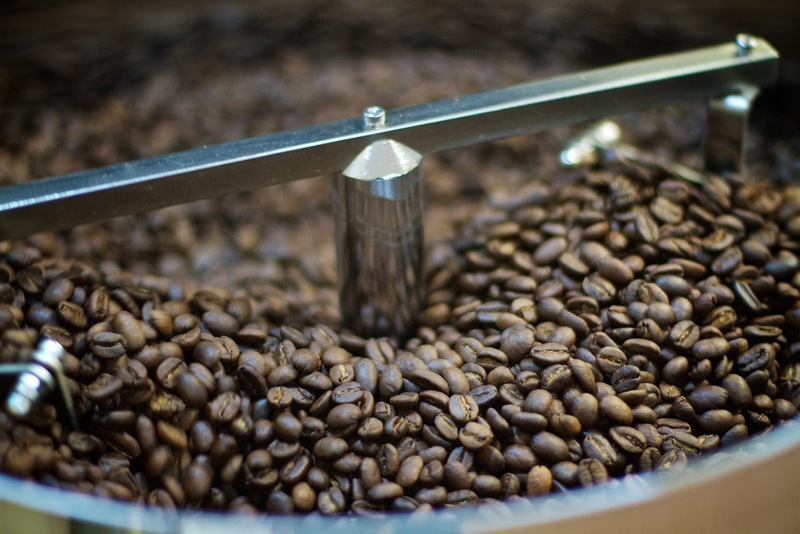 You can appreciate the nuances to the coffee which can be just as complex." 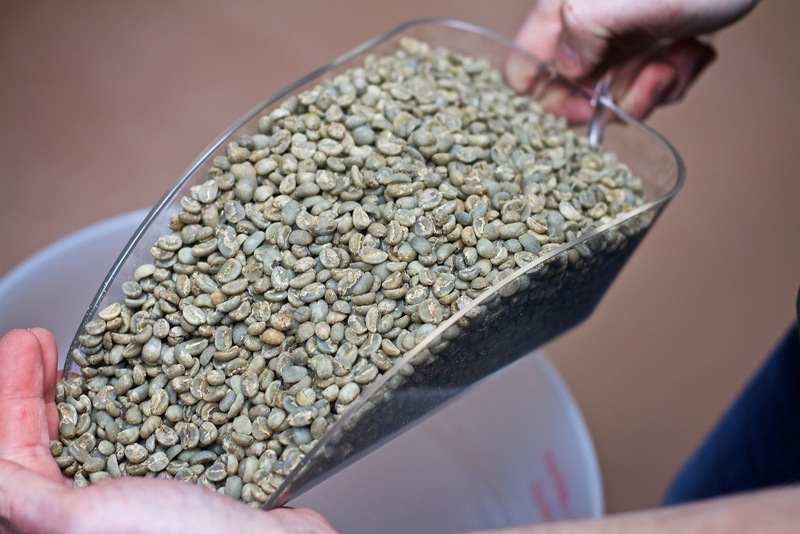 For example John's favorite roast is Ethiopian Yirgacheffe which has flavor notes of blueberries. And seriously, it does have a taste of blueberries not that there are any blueberries in it. In a blend, you might not be able to pick out that unique flavor. And the thing about single origin John said is that even year to year the flavor notes can subtly change. Before John got into roasting he thought that all coffee was kind of bitter and tasted the same. Once he got into it, he learned that nope, fresh coffee isn't bitter at all and you should be able to drink it without milk or sugar. 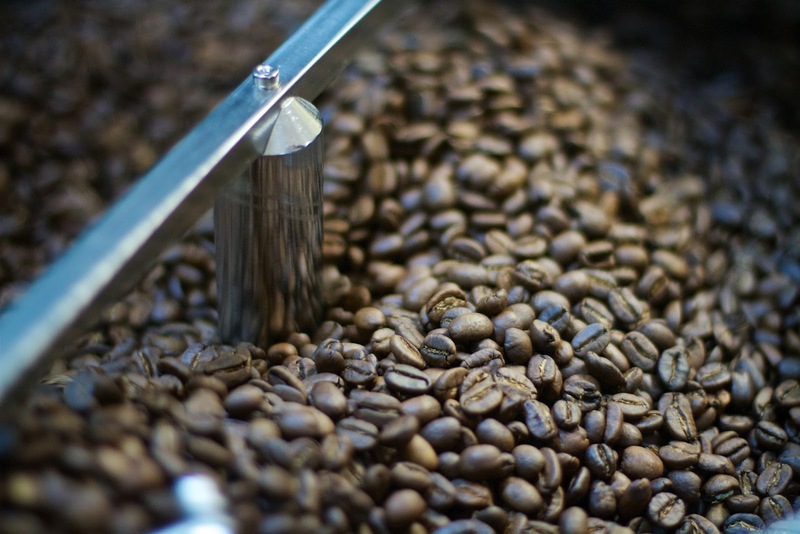 And speaking of roasting, the Sacred Grounds black and tan roast has a funny backstory. You see, John was roasting some beans and got distracted. When he came back to the roaster he saw that some of the beans were dark roast and some of the beans in the same batch were not. Annoyed with himself for ruining an entire seven pounds of beans, he put them on the shelf and decided to deal with it later. 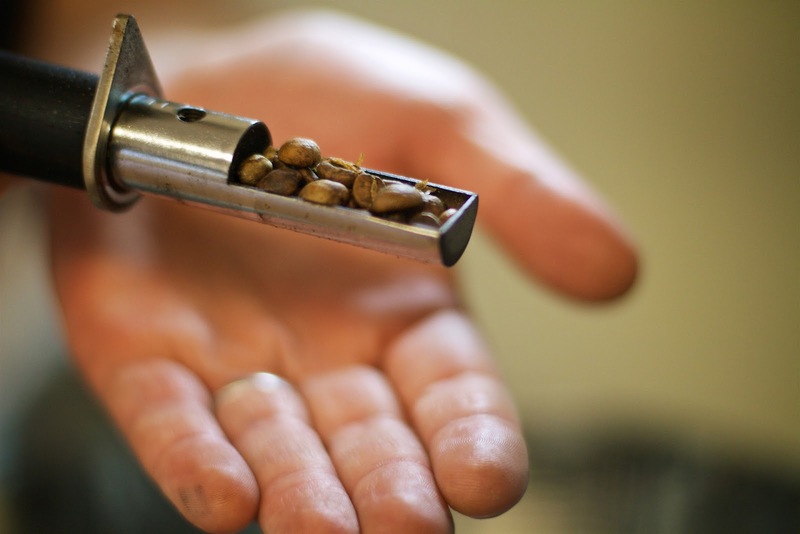 Not one to waste something, John decided he would just grind them up and brew them for himself. When he sipped it, boy was he surprised at how good it tasted. He shared some with friends to make sure he wasn't crazy, and they assured him he was onto to something. And that was how the Sacred Grounds black and tan roast came to be. Now he purposely combines dark, medium dark, and medium roasted beans to create his Black and Tan roast (available on Mexico Chiapas). We have to say, that John's certainly come a long way from roasting coffee in his kitchen in an air popcorn popper. You can stop into his roastery to sample and buy your beans. 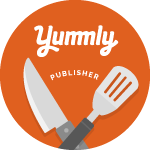 We highly recommend getting yourself some of the Ethiopian. You can also order online at sacredgrounds.coffee. He'll prep your order for pick up or will ship it to your doorstep. By the way, he will also fill K-cups for all you Keurig people out there. You can also find Sacred Grounds Coffee at the Sherman IGA. Oh, and John already has a top-secret collaboration in the works. We can't wait to spill the beans! Love the black and tan story! I can't wait for a sampling of all these great blends...and organic, too! What's greater than that! !